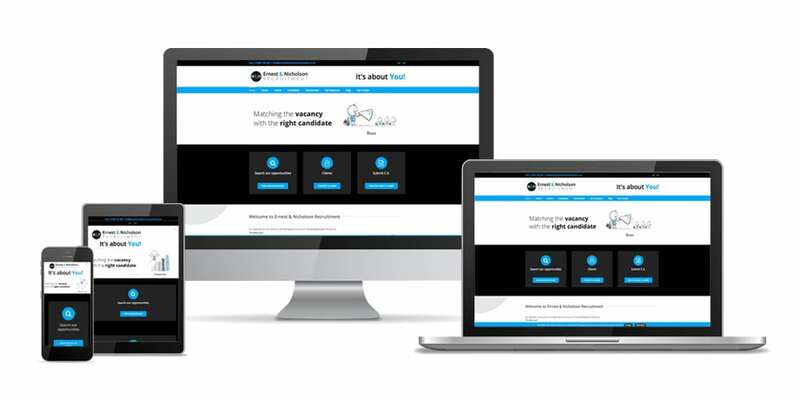 Ernest & Nicholson Recruitment were a new start up business and commissioned us to firstly create a brand for the company and then design a website that would reflect their personality. From the initial meeting it was made clear that the usual and sometimes over-used imagery in that sector of candidates at work and business type graphics were defiantly not wanted. We focused on lightening the mood with a set of illustrations to suit the theme of recruitment. The site was built on the WordPress CMS platform enabling the updating of the site, posting of blog articles and their vacancies on the site.